Advantage Bankcard Systems was established in 1997, by Austin Texas resident Robert Baker. Advantage Bankcard Systems has grown into a multi million dollar credit card processing vendor. Advantage Bankcard Systems can provide merchant services including, Credit Card Acceptance, Electronic Check Acceptance, EBT, Debit Card, Gift Card, ATM services, and a variety of other electronic payment methods to nearly any type of business! Inc 500 Magazine has rated Advantage Bankcard Systems in the top 500 fastest growing businesses for 3 consecutive years. The Austin Business Journal has rated Advantage Bankcard Systems, as the 4th fastest growing private company in Austin, TX. Advantage Bankcard Systems has offices in Texas, Colorado, California, Arkansas, and Wisconsin, and employ's over 300 outside sales representatives. Advantage Bankcard Systems is an authorized reseller for Verifone, Hypercom, Lipman, Comstar, Ingenico, Magtek, Intuit, and Telecheck brand equipment and software. Advantage Bankcard Systems is an authorized reseller for Telecheck™, GETTI, GIACT, and Global check and ACH processing services. Advantage Bankcard Systems has partnered with Authorize.net, Payment Clearing, Verisign, and Network Merchants, to provide internet businesses with the latest online payment and fraud protection systems, meeting any ecommerce requirement. 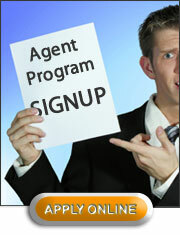 Sign-up for the ABS merchant account agent program! Copyright © 2019 Advantage Bankcard Systems, All Rights Reserved.